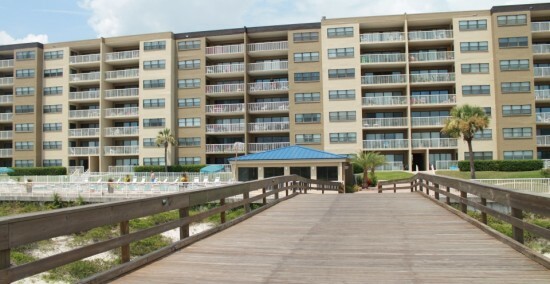 With breathtaking views of the white sand beach and fishing pier from its many apartments, Amelia by the Sea is the ideal vacation destination for families and couples looking for the perfect place to enjoy what the area has to offer. This condominium complex offers luxurious 2 and 3-bedroom condos that are available for short-term rentals, and guests can rent them for a week or a month at reasonable rates. Read below to find out everything Amelia by the Sea has to offer. 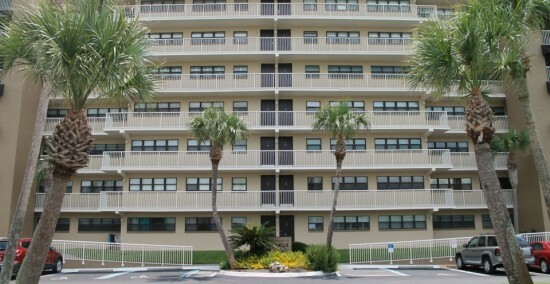 The condos available at this upscale complex offer guests many fabulous amenities including completely furnished apartments with air conditioners, electric heat, dishwashers, and ice makers, as well as private balconies with views of the beautiful swimming pool and fishing pier. Many of the condos have recently been updated, with new beach décor that make them perfect for a family vacation. Other recent updates in the units include refreshed kitchens with granite countertops, stainless steel appliances, new cabinetry, new washer and dryers, stylish décor with custom drapes, and remodeled bathrooms as well. All units in Amelia by the Sea have great views of the ocean, sparkling swimming pool, and the only fishing pier on its side of the island. 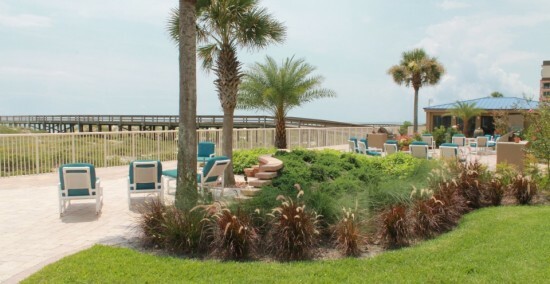 Amelia by the Sea’s generous amenities and great location makes it ideal for Amelia Island vacation rentals or condo rentals. Amelia by the Sea features a gorgeous, serene private pool, guest access to the white sand beach just steps away from the pool area, two tennis courts, secure parking, and access to the only fishing pier on the beach. 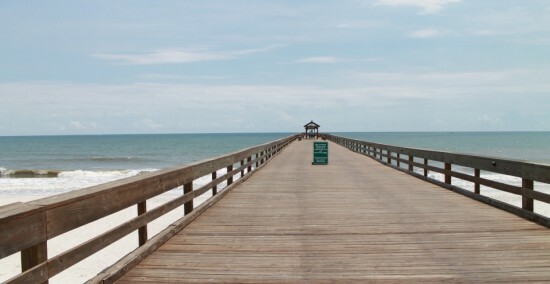 This private, 780-foot pier gives access to some of Florida’s best surf fishing; typical fish caught on the pier include redfish, Spanish mackerel, flounder, sharks, sea trout, blue fish, and many other species. The complex also has private elevators for guests to use. Managers also live in the complex and are available for assistance anytime. The amenities at Amelia by the Sea makes it an ideal destination to enjoy everything that the area has to offer in comfort and luxury. Amelia by the Sea is conveniently positioned right on the beautiful white-sand beach, with all units of the complex boasting views of the glistening Atlantic Ocean, the swimming pool, and the fishing pier. Located close to your condo are many great attractions and things to do for guests on vacation, including golfing, restaurants, shopping, parks, spas, and more, which will be detailed below. 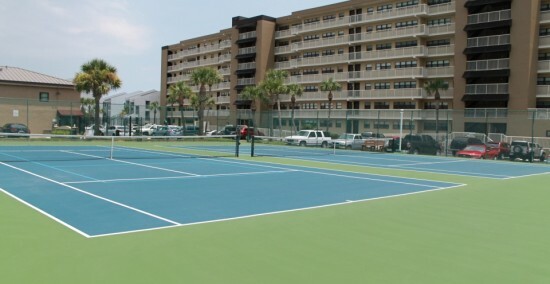 Guests of the complex will have plenty of fun things to do around the area, with many attractions within walking or driving distance of the building, making Amelia by the Sea a great choice for vacation condo rentals. Located nearby is the Fernandina Beach Municipal Golf Club, a 27-hole golf course that was rated 3-1/2 stars by “Golf Digest” and is considered by most to be one of the country’s best public golf courses. In addition to the golf course, it also features a practice putting green, driving range, a clubhouse with a full bar and menu, and a stocked pro shop. For vacation guests looking for a more historical experience, check out the several museums and historic landmarks the island has to offer, many of which are within driving distance of the condominium complex. Take a short trip and visit the Amelia Island Museum of History, the state’s first oral history museum featuring modern exhibits, lectures, ghost tours, historic walking tours, and information on the island’s over 4,000 years of history. The Amelia Island Lighthouse dates back to 1839 and is one of Florida’s oldest lighthouses; tours of the lighthouse are only offered the first and third Wednesday of the month, and are also open every Saturday for public viewing. Another historic location to check out is the Bosque Bello Cemetery, a hauntingly beautiful place with massive live oaks and hundred-year old cedars that seem to guard the graves of the soldiers buried there. 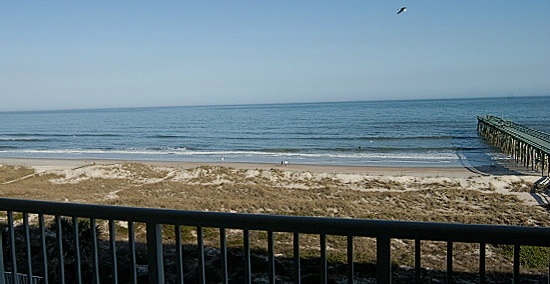 If you’re an avid fisherman, look into getting a chartered fishing boat or simply fish from the pier right off the Amelia by the Sea condo complex. For outdoor enthusiasts, there are plenty of parks to enjoy while staying at the complex, including Fort Clinch State Park, located on the north end of Amelia Island; this park offers a historic 19th-century fort, a beach for swimming and sunbathing, fishing, hiking and biking, nature trails, and a campground and camping area for younger children and teens. 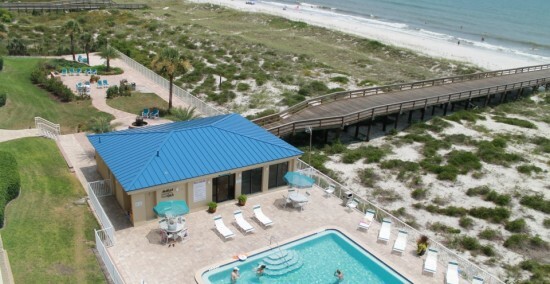 Try Amelia by the Sea Vacation Rentals Today! Amelia by the Sea Vacation Rentals has dozens of amenities to offer those who visit, from gorgeous views of the Atlantic Ocean from its condos, convenient location on the white-sand beach, a private fishing pier, luxurious, furnished condos, a sparkling swimming pool, and excellent position that’s close to attractions like shopping and dining, historical landmarks, upscale golf courses, and beautiful parks for walking, hiking, swimming, and much more. We look forward to helping you plan the perfect vacation on our beautiful island.